Lucy del Carmen recently accepted the Kuyper College (Grand Rapids, Michigan, USA) Service Award—for both her own service and on behalf of her late husband, Vincente Apostol (also known as Vince), for their work with the Christian Reformed Church in the Philippines. Saying Palestinians have a right to demonstrate peacefully and with dignity in their decades-long conflict with Israel, a joint statement calling for an end to violence in the region, has been issued by the Presbyterian Church (U.S.A.), Reformed Church in America, United Church of Christ and other Christian denominations and organizations in the United States. At its recent synod, the Presbyterian Church of Venezuela strengthened its structures and testimony, despite ongoing challenges in the country. An ecumenical bioethics commission in Italy, including the Waldensian Church, produced a document on the theme of vaccines entitled Vaccination: a responsible and caring choice. 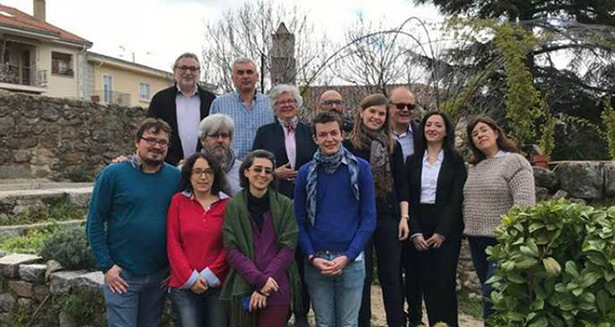 Communicators from Protestant churches of the European Latin countries (France, Switzerland, Italy, Belgium, Spain and Portugal) met recently and discussed the impact of the internet on churches.